IN THE THREE weeks after she sat her degree exams in May, Dubliner Kelly Corrigan, 21, applied for 56 jobs. Carefully, she tailored cover letters for admin and catering positions, retail work and unpaid internships. The only two employers who got back to her sent automated rejection emails. By the end of August, she says she realised she “wasn’t getting anywhere” and applied for jobseeker’s benefits. “It wasn’t something I thought I’d need to do after college,” says Kelly, a communications graduate. Kelly starts a temporary retail job next week, a three-month position that will at least distract from long days online, trawling through career sites. After Christmas, she hopes to move to the US, where she says friends have had little difficulty finding work. She knows of only three people in her class of 80 working in an area relevant to their degree – two of them in Scotland. Most of the others are either unemployed, working in minimum wage jobs or planning to do a master’s in an unrelated field. ”There’s no opportunity for us here,” she says. Tara Joshi, 23, who moved to Dublin from the UK four years ago, finished a degree in ancient and medieval history earlier this year. After a summer of applying for jobs and mostly unpaid writing work, she finds herself still looking for a job, coming to grips with what she calls ”a lack of purpose that pervades every day”. “I’m spending a lot of time alone, waiting on responses from potential employers and worrying about this seemingly endless time where it feels like everyone else is getting things together except for me,” she says. Rejections initially felt like a personal insult, she remembers, but she says she appreciates now just how competitive the graduate job market is. 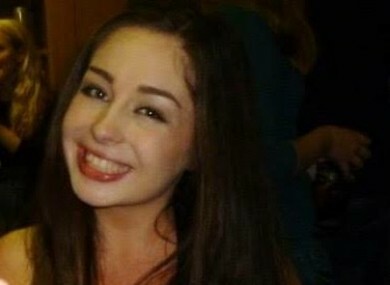 Eimear Phelan, 23, from Galway, was unemployed for four months after finishing her journalism degree in 2014. Having lived in Dublin for three years, she moved back home to Galway, where she eventually landed work in a local shop. ”I found it very difficult,” she says. You start to feel very isolated when you can’t even afford a cup of coffee or the bus fare. I spent hours every day tailoring my CV for different jobs, only not to even get a call back. This weekend, she is leaving Ireland to start a teaching job in Spain. Graduates have weathered the recession significantly better than those without third-level qualification, but graduate unemployment rates remain stubbornly high. CSO statistics shows 12.2% of graduates in Ireland were unemployed in the second quarter of 2015, a slight decrease from the same period in 2014, when it was 16.3%. But emigration is still one of the main factors contributing to falling unemployment numbers. In the 12 months prior to April 2015, some 39,800 graduates emigrated from Ireland, the highest level since CSO began recording this kind of data six years ago. The lifting of the public sector recruitment embargo in Budget 2015, however, has created new opportunities for graduates. “Things are definitely improving,” says James Doorley, assistant director of the National Youth Council of Ireland. The public sector moratorium is still there, but it’s loosening up, and we’re beginning to see an increase in recruitment in almost all sectors, both public and private. Doorley is disappointed, though, with the lack of progress on the youth guarantee scheme, an EU-supported government plan to provide young people with guaranteed access to a job, further education or training within four months of becoming unemployed. Some 23,300 places were delivered through the scheme in 2014 – just short of that year’s target of 28,350 - according to the Department of Social Protection. However, Doorley says only 700 people benefited from the programme last year, as 22,600 of the places included in government figures had been arranged the previous year. “We always accepted it wasn’t going to happen overnight but it patently hasn’t been implemented in the way it was meant to,” Doorley says. Email “'When you're out of work, there's a lack of purpose that pervades every day'”. Feedback on “'When you're out of work, there's a lack of purpose that pervades every day'”.